319/365 america’s best pizza, originally uploaded by ajbrusteinthreesixfive. today’s theme was “haters gonna hate.” We skipped out early to go grab the best pizza ever at Antico’s. This time Yong immediately agreed – best pizza in America. The ATL food scene is truly underrated. 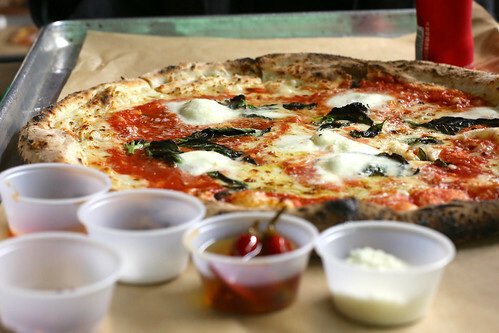 Anyway, mark down today as a double win – beat the haters and grabbed a pie at Antico’s on the way back to SF. 318/365 america’s best burger, originally uploaded by ajbrusteinthreesixfive. 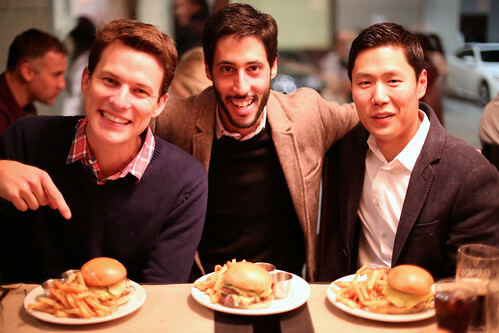 took some time out tonight to spend with friends – and hit up the best burger around at Holman & Finch. It was Julien & Yong’s first time, and while they thoroughly enjoyed it, they weren’t quite sold on the title of “best” – good thing I have the final say, and this burger is officially the best burger in America.